SOLD $4,420,000 MODERN MARVEL. Sculptural elements, natural light, direct views and access to the landscape give you an unprecedented experience of this exceptional mid-century modern house. True to Eliot Noyes original vision, the renovations done by builder Dave Prutting and architect Joeb Moore, kept the sophisticated approach to making spaces functional to today’s modern living. Natural material such as wood and stone add warmth while the expansive use of glass defines the proportions of the space. Extensive landscaping by Reed Hilderbrand for the entire property, has resulted in a breathtaking, peaceful, retreat-like feel site surrounding this luxury mid-century gem with its guest and pool house. 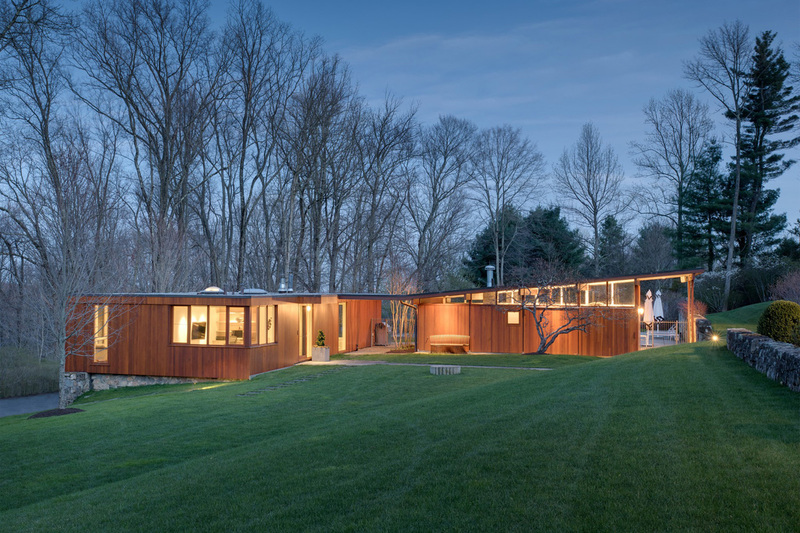 Efficiency, simplicity and transparency are key to this iconic home. BY THE NUMBERS: 5 BEDROOMS, 5.5 BATHROOMS, 6,275 SQUARE FEET, 2.81 ACRES, 5 CAR GARAGE. Listing provided by Inger Stringfellow.